As a working mom to two young boys, 2017 IsaBody Finalist Lauren Crider needed an easy way to quickly get nutrition. 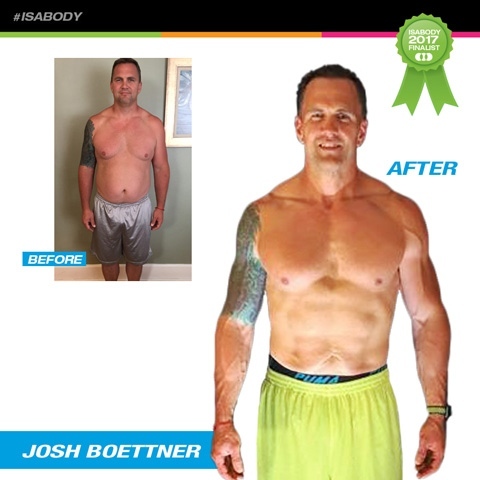 Isagenix was the perfect solution. Your body deserves the best nutrition. It deserves the protein-packed power of Isagenix IsaLean Shakes! 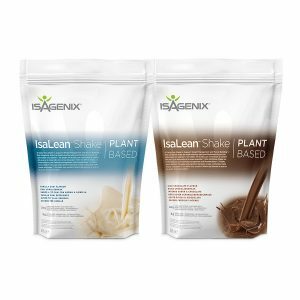 Loaded with the world’s finest all-natural protein and available in three delicious flavours, IsaLean Shakes are cutting-edge meal replacements designed to help you reach your weight loss goals and perform at your peak. This scientifically formulated and clinically proven meal replacement shake contains nothing but quality, all-natural ingredients to provide your body with the premium fuel it deserves. 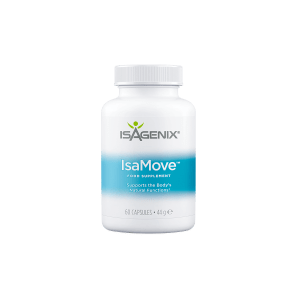 Available separately or as part of an Isagenix nutritional cleansing or performance programme, the IsaLean Shake will form the backbone of your healthy lifestyle and accelerate your weight loss results. Why Is the IsaLean Shake So Unique? Unlike typical meal replacement shakes, which do little more than make you feel full and bloated, IsaLean Shakes are designed to provide your body with the right amount of the very best protein, complex carbohydrates, healthy fats, active enzymes, and ionic minerals for optimal metabolic, cardiovascular, and weight loss support. Each tasty shake is loaded with 24 grams of premium protein from hormone-free, grass fed cows who happily spend their days freely grazing New Zealand’s fertile, emerald fields. Using a unique cold extraction technique, Isagenix is able to produce an extremely high quality, un-denatured protein that’s dense in nutrients and contains the perfect amino acid profile. With only 240 calories per shake as well, it’s the ultimate meal replacement. If you’re looking to safely reduce your caloric intake, maximise your body’s fat burning ability, and enjoy a highly nutritious well-balanced meal, the IsaLean Shake should definitely be added to your daily routine! On a side note, in true Isagenix fashion, it also contains no artificial flavours, colours, fillers, or preservatives. What’s that you ask? Well, it’s simply the IsaLean Shake’s protein formula, which happens to be in a league of its own! Featuring a new and improved Myo-IsaLean Complex with not 10 or 20 but 50 percent more premium protein than prior formulas, the IsaLean Shake now offers even better glycemic response and muscle maintenance than before. The all-natural, un-denatured whey protein used in the IsaLean Shake’s new Myo-IsaLean Complex also contains more amino acids, which are absorbed faster and able to spur muscle growth and maintenance quicker than ever before. Since they also have a low glycemic response, you’ll stay full for longer as well. With an increased milk/whey ratio, IsaLean Shakes have been proven to satiate your hunger and significantly reduce cravings in between shakes and meals. Serving as the primary source of protein in IsaLean Shakes, the milk protein concentrate used in Isagenix’s Myo-IsaLean Complex features a higher concentration of branched-chain amino acids for improved fat burning efficiency and increased lean muscle growth. With eight grams of fibre per shake and a higher concentration of lactase as well, IsaLean Shakes can be easily digested and improve your overall stomach health. IsaLean Shakes also assist in keeping your blood sugar levels in check, which benefits your organs and ultimately helps you in your weight loss journey. Everyone is going gluten-free these days as the side effects of gluten are becoming more and more well-known. IsaLean Shakes are now available gluten-free as well! That’s right; you can now enjoy superior nutrition without worrying about gluten allergies and the many other negative side effects associated with a gluten-rich diet. How Many IsaLean Shakes Should You Consume Each Day? IsaLean Shakes can be enjoyed for both weight loss and weight maintenance. If you’re looking to lose weight, you should replace two meals each day with a French Vanilla, Creamy Dutch Chocolate, or Strawberry Cream IsaLean Shake. On the other hand, if you’re simply in need of a little help to keep the kilos off, simply replace one meal with a shake each day. It’s as simple as that. Nonetheless, if you want to maximise your results, you should seriously consider adding IsaLean Shakes as part of a comprehensive Isagenix weight loss, nutritional cleansing, or performance programme. Lose Weight and Get Fit with UK Isagenix IsaLean Shakes Today! IsaLean Shakes are the cornerstone of any Isagenix programme and fuel the body with premium nutrition to help it look and feel its very best. 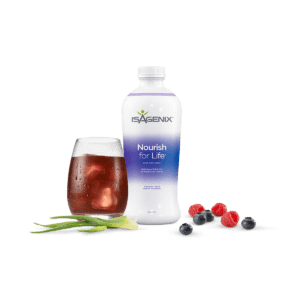 When used alongside other safe and effective Isagenix nutritional cleansing products, these revolutionary shakes will help you’ll burn fat, lose weight, build lean muscle, and enjoy better health each and every day! Click here to get started on your weight loss journey and add your name to the growing list of UK residents transforming their lives with Isagenix one shake at time. I ordered a pack of the strawberry shakes and was really happy with the taste and quantity per shake, it was enough to fill me up! I wasn’t hungry after, and it’s now part of my daily weight loss plan.